If you have been in a rear-end collision caused by an inattentive or careless driver, you may be suffering from injuries that require ongoing medical care. Fortunately, you have the right to pursue damages against the at-fault driver to cover your healthcare and other costs. However, proving and winning your claim is not always easy or straightforward. The attorneys at the Law Offices of Richard R. Kennedy in Lafayette, LA, have represented car accident victims for over five decades and can put their skills to work for you. Our firm works on a contingency basis, so victims of rear-end collisions can focus exclusively on their recovery until the case is won or a settlement is obtained. Like many vehicular accidents, rear-end collisions are often caused by negligent drivers distracted by smartphones, conversations with a passenger, or reaching to grab something from another part of the car. Any action that draws a driver's attention away from the road can potentially be classified as distracted driving. Other types of negligence that frequently contribute to rear-end crashes include drunk driving, speeding, and aggressive driving. State law assumes fault on the part of the driver of the vehicle that rear-ended the vehicle in front of it... Louisiana law does allow for exceptions that clear the rearmost driver of fault. State law typically assumes fault on the part of the driver of the vehicle that rear-ended the vehicle in front of it. This is based on Louisiana Revised Statute 32:81, which expects a driver to maintain a reasonable distance from any vehicle before them, taking into account speed and traffic patterns. However, Louisiana law does allow for exceptions that clear the rearmost driver of fault. In such instances, said driver will need to prove they had control of their vehicle , were driving at a safe distance, and were closely observing the vehicle in front of them. Specific circumstances that may exonerate the driver include the car ahead stopping abruptly, merging unsafely into or out of the lane, or lacking functioning brake lights. As in most car accidents, whiplash is one of the most common injuries in a rear-end collision, especially if a vehicle is struck when not in motion. When the vehicle is slammed into from behind, it jolts forward and causes the passengers’ heads to quickly hyperextend backwards and forwards. This sudden movement strains the soft tissues in the neck. 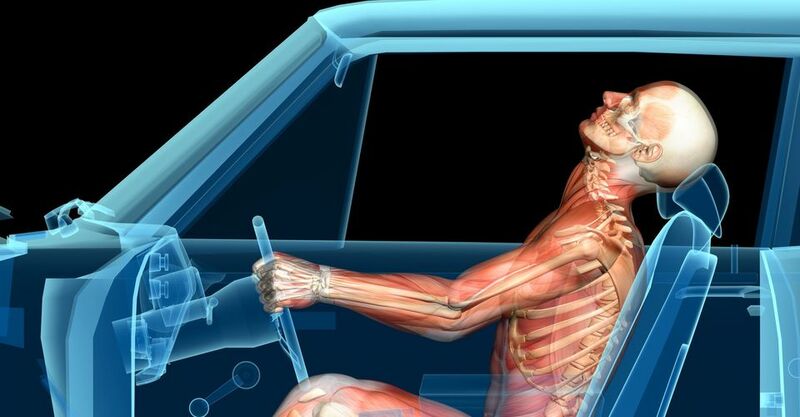 Whiplash symptoms include neck and back stiffness, headaches, and other symptoms you might not expect, such as confusion, sleep disorders, and dizziness. Whiplash results from a fast, whip-like motion of the head and neck during an accident. Regardless of the circumstances surrounding the injury, the long-term effects can be catastrophic and sometimes deadly. Finding an attorney who can strongly represent your case is often an essential part of getting the financial support you need to recover from such an accident. At the Law Offices of Richard R. Kennedy, we have a proven record of securing just compensation for their clients. Find out what our attorneys can do for you by coming in for a free case evaluation. Call us today at (337) 232-1934.